Very Large Array Hosts Unique "Radio Sundial"
We wish to inform our users who submitted proposals for time on the VLA, GBT, and VLBA/High Sensitivity Array/Global 3mm VLBI Array in NRAO Semester 2014A that, owing to delays introduced into our normal proposal review and time allocation process by the government shutdown in October, and compounded by the record number of proposals involved, they will learn the disposition of their proposals on 25 November. We regret any inconvenience caused by this delay. Thank you for your patience. As Spring comes to ALMA, the last vestiges of winter sublime into the atmosphere. ALMA Proposals for Cycle 2 have been arriving since the 24 October publication of the Cycle 2 Call for Proposals. We invite members of the astronomy community to propose scientific programs to be scheduled within the ALMA Early Science Cycle 2 period which will start in June 2014. This provides a new important opportunity for Early Science from this cutting edge facility. The Cycle 2 period will span 17 months and users of any professional background, nationality, or affiliation may submit proposals. 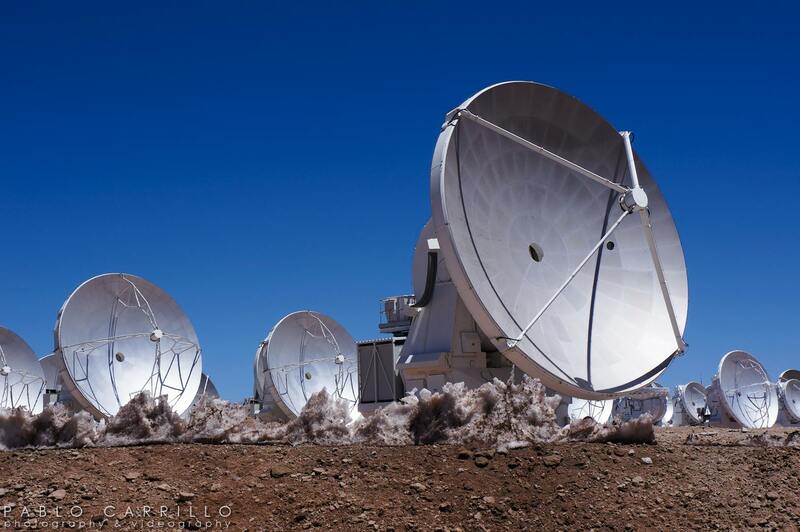 It is anticipated that about 2000 hours of 12-m Array time and Atacama Compact Array time will be available for Cycle 2 projects and high priority projects transferred from Cycle 1. A list of the metadata from Cycle 1 proposals designated for transfer into Cycle 2 has been posted to the ALMA Science Portal, so that Cycle 2 Principal Investigators can avoid duplicating these observations. A Cycle-2 OT update was released Monday 18 November. All users should install this update. The ALMA Cycle 2 proposal submission deadline is 15:00 UT on 5 December 2013. Please see the ALMA Call for Proposals for details, including all supporting documentation. Student Observing Support for successful ALMA Cycle 2 proposals will be available. The ALMA proposal must be submitted through the NA executive for an investigator to request support for a student. The requesting investigator must be at a US institution and named as an investigator on a successful ALMA proposal. The student should be named in the request for support but may not necessarily be named on the proposal. The Call for Student Observing Support requests will go out in April, when results of the Cycle 2 Call for Proposals are known. ALMA staff traveled to institutions requesting an ALMA/NRAO Community Day during the month. Events were scheduled at Howard University, Goddard Space Flight Center, IPAC and the University of Texas at Austin. The three main talks which were presented at the community days are now posted. ALMA Cycle 1 Early Science Block 19 concluded in early November with successful observations of schedule blocks and good efficiency. 23% of Cycle 1 projects have been begun; 22% of all executions expected have been started. A listing of objects observed may be obtained through the ALMA Science Archive Query Form. PIs may query the status of their project through the Project Tracker. Early science proceeds on alternate weeks with commissioning; Block 20 recently commenced. The Array is in a configuration which approximates C32-3, providing intermediate resolution (1.4" at 100 GHz). ALMA construction is ramping down. The final cartridges for Band 4 (2mm) and Band 8 (.6mm) will be delivered by year's end; the final cartridges for Band 10 (.35mm) will be delivered in January. Completion of antenna stations with baselines longer than ~500m will be completed within the next weeks. Nutator verification is in progress at the Operations Support Facility (OSF) as the final antennas are prepared for delivery to the Array Operations Site (AOS). There are currently 60 antennas at the AOS. The estimated final delivery of the 66th and final outfitted antenna to AOS will occur in January 2014. ALMA Head of Engineering Michael Thorburn left ALMA on November 7th. Rieks Jager has taken over as Head of Engineering at the JAO. Ryu Ogasawara has taken over as JAO Project Manager. A radio pulsar is a neutron star whose strong magnetic field accelerates particles as it rotates, gradually slowing with time. One class of pulsars, however, appears to have been re-accelerated to rotational periods of a few milli-seconds through mass transfer from a binary companion. During the transfer the accreting material is heated to a temperature such that it emits X-rays, and indeed, many low-mass X-ray binaries observed throughout the Milky Way are thought to be produced by this mechanism, which must operate over many millions of years. It is thought that the se systems go on to produce radio milli-second pulsars when accretion ends. Recently, however, by combining multiple satellite X-ray observations with radio-wavelength data from the Green Bank Telescope (GBT) and other telescopes worldwide, scientists have identified a neutron star in a binary system that appears sometimes as an accreting X-ray emitting neutron star, and at other times as a radio pulsar. The system is in the globular cluster M28 which hosts many radio pulsars. It was discovered using the GBT in 2006, and observed to cease radio emission for months to years at a time. Thanks to the new observations it is now understood that the actual accretion process is sporadic and may vary on time scales as short as weeks. During episodes of accretion inflowing matter disrupts particle acceleration processes in the neutron star’s magnetic field, quenching the radio emission, and causing bright, pulsed X-rays. When the accretion tapers off the pulsar’s magnetosphere can accelerate particles again, and the object appears once more as a radio pulsar. These observations establish without question the link between radio pulsars and X- ray binaries, and will allow study of the accretion process in detail. Reference: A. Papitto, C. Ferrigno, E. Bozzo, N. Rea, L. Pavan, L. Burderi, M. Burgay, S. Campana, T. Di Salvo, M. Falanga, M. D. Filipović, P. C. C. Freire, J. W. T. Hessels, A. Possenti, S. M. Ransom, A. Riggio, P. Romano, J. M. Sarkissian, I. H. Stairs, L. Stella, D. F. Torres, M. H. Wieringa & G. F. Wong, Nature, 501, 517 (26 Sep 2013). 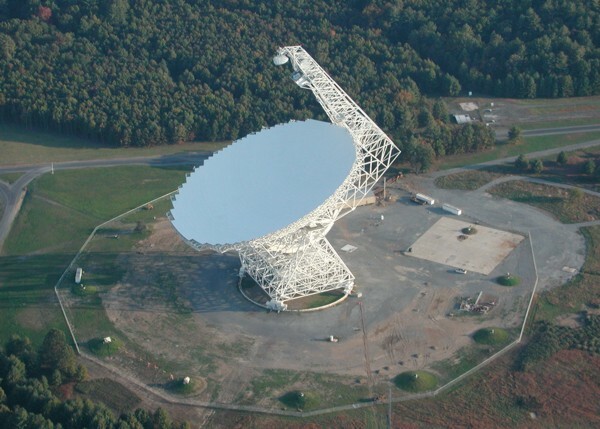 With the installation of new fiber optical links and other upgrades to the Green Bank Telescope (GBT), it is now feasible to consider fully commensal observing programs, that is, research projects that collect data from GBT receivers while the telescope is under the control of a primary observer who may have no connection with the commensal observers. The receivers being used for commensal projects do not have to be at the GBT focal point, and could even be special purpose PI-built devices placed somewhere on the telescope. The commensal observer has no control over telescope pointing, and must in no way interfere with the scientific program of the primary observer. Initial information about commensal proposals was provided in the NRAO Semester 2014A Call for Proposals "News for Proposers". This is clearly a subject of interest to the community and the Observatory, and we welcome community input. As the GBT L-band receiver may be attractive for some commensal programs, Ron Maddalena has produced GBT Memo 285 about its performance at various positions on the receiver turret. At this time, we would like to begin discussions with anyone contemplating commensal observing on the GBT so that we can judge the extent of interest and possible technical issues with such programs. The Observatory will also be developing policies on data management and resource allocation. Please email Jay Lockman or Karen O'Neil if you would like to be part of this discussion. 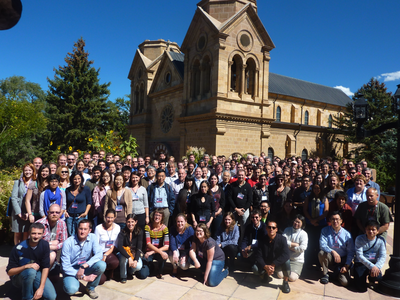 IAU Symposium 303 ­– The Galactic Center: Feeding and Feedback in a Normal Galactic Nucleus – was held in Santa Fe, New Mexico, USA 30 September – 4 October 2013. This symposium was very well attended, with 164 official participants from around the world. This is perhaps the largest gathering of scientists in the series of Galactic center workshops over the last 20-30 years. The symposium’s 65 talks featured numerous postdocs and graduate student speakers, including 25% female presenters. Because of the large attendance, 82 posters were displayed and most were also advertised in a short oral presentation. These "poster previews" triggered conversations around the posters throughout the week. (1) Recent, high-resolution, multi-wavelength large scale surveys of molecular gas in the central molecular and dust zones of our Galaxy, as well as nearby Milky Way analogs. In particular, ALMA and VLA results were featured and provided the most detailed views of these regions (including a very dense cloud known as the Brick). (2) Up-to-date studies of stellar populations revealed the latest results on stellar orbits around Sgr A*, and a new class of compact dusty gas clouds. One of these – known as G2 – is on a trajectory that allows possible accretion onto the supermassive nuclear black hole Sgr A*. Future observations are planned of this possible event at all wavelengths. (3) A variety of theoretical models were proposed to explain the G2 event, as well as the general accretion and jet formation in the vicinity of Sgr A*. (4) The large-scale gamma-ray emission (Fermi Bubble) was discussed in the context of possible past and current energetic activity in the Galactic Center, and the role of the magnetic field was emphasized. (5) Future observing opportunities were discussed, including monitoring G2 and Sgr A* across much of the electromagnetic spectrum, and at very high resolution, via the Event Horizon Telescope. Finally, plans for future workshops on the detailed physics of galactic nuclei were also discussed: COSPAR in Moscow, Russia (2014); a short workshop at the IAU 2015 in Hawaii; and plans for the next symposium to be held in 2016+ in South Korea, Japan, or Australia. Overall, participants were extremely enthusiastic about the scientific program, the local setup in Santa Fe at the La Fonda Hotel, and especially the tour of the Very Large Array and the Long Wavelength Array on the Sunday preceding the workshop. The NRAO staff involved kept the meeting running very professionally and smoothly all week. The presentations given at the IAU 303 Symposium are available from the meeting web site. The 3rd China-U.S. Workshop on Radio Astronomy Science and Technology-Emerging Opportunities will be held 19-21 May 2014 at NRAO in Green Bank, WV. The Workshop, organized by NRAO and the Shanghai Astronomical Observatory (SHAO), will build on the two previous joint workshops held in China in 2008 and 2013, and will highlight new and planned radio astronomy facilities in the US and China, radio astronomy technology being developed in these countries, large scale data management issues, and collaborative research opportunities. China has recently commissioned a new 65m radio telescope near Shanghai. China is also building the Five Hundred Meter Aperture Spherical Telescope (FAST) and the Chinese Spectral Radioheliograph (CSRH); is planning the Qitai Radio Telescope (QTT), a 110m fully steerable radio telescope in western China; and is developing plans for an ambitious 2-element space Very Long Baseline Interferometry mission. The May Workshop follows from Memoranda of Understanding between NRAO and SHAO, and between NRAO and the National Astronomical Observatories in China (NAOC), and is intended to foster collaborative projects between US and Chinese astronomers using the new Chinese facilities, as well as US radio telescopes. Workshop pre-registration and additional information are available here. 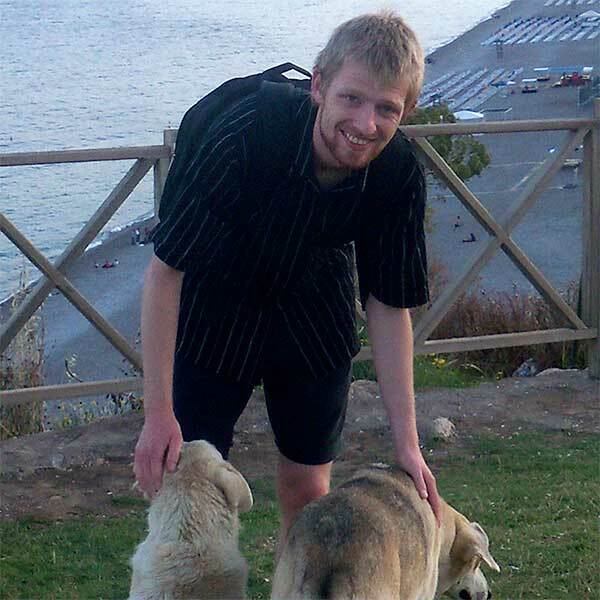 Drew Brisbin arrived at NRAO as a North American ALMA Science Center (NAASC) post-doctoral fellow in September 2013. He completed his Ph.D. under the supervision of Gordon Stacey at Cornell University. Drew's primary scientific focus has been on understanding galaxy evolution in terms of star formation and metallicity, with a focus on systems at z > 1. This work has largely relied on observations from Herschel and the Redshift(z) Early Universe Spectrometer (ZEUS) at the Caltech Submillimeter Observatory, and most recently, ALMA. Drew hopes to continue this work and also gain a greater understanding of how Active Galactic Nuclei influence star formation in the nearby Universe. Drew is excited to join the NAASC team and become an insider on the largest and most sensitive submillimeter/millimeter telescope. He is also enthusiastic about the emphasis NAASC puts on outreach and hopes to contribute to relating astronomy to the broader community. Drew can be reached at dbrisbin AT nrao.edu. 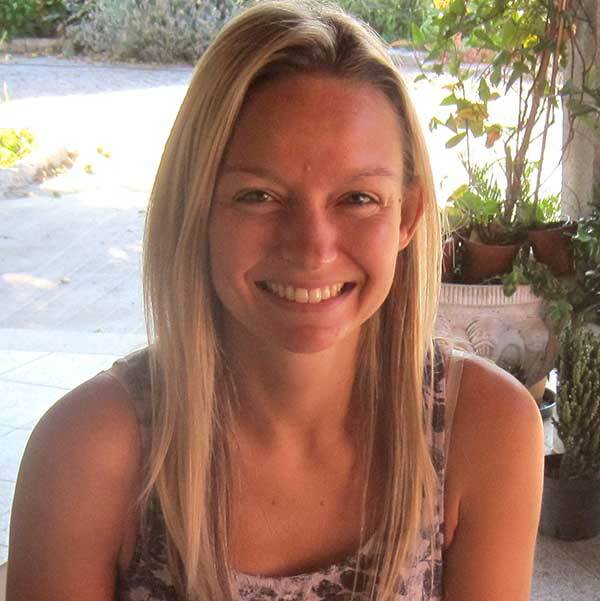 Jackie Hodge joined the NRAO as a Jansky Fellow on 18 October. Jackie earned her Ph.D. from the University of California, Davis, under the supervision of Robert Becker. Before coming to NRAO, Jackie was a Postdoctoral Fellow at the Max Planck Institute for Astronomy in Heidelberg, Germany, where she worked with Fabian Walter. She is an expert on centimeter and millimeter observations of high redshift galaxies, with extensive Very Large Array (VLA) and ALMA experience. As a Jansky Fellow, she plans to utilize the growing capabilities of ALMA, along with the VLA, to work toward a more comprehensive understanding of the build-up of galaxies over cosmic time. She can be reached at jhodge AT nrao.edu. The NRAO Annual Report for calendar year 2012 describes the year’s science highlights and summarizes the numerous science, development, operations, and construction activities that were conducted across the Observatory from 1 January – 31 December 2012. 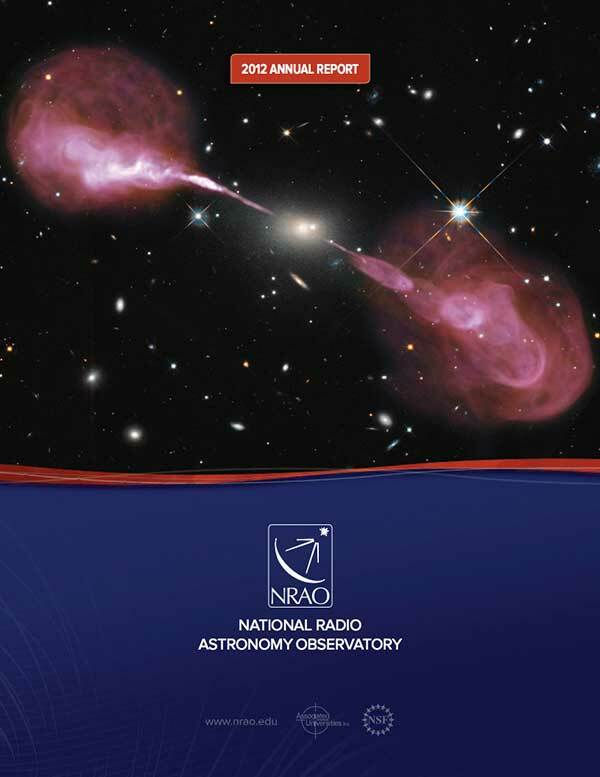 The 2012 NRAO Annual Report can be accessed as a pdf download or for on-line viewing. 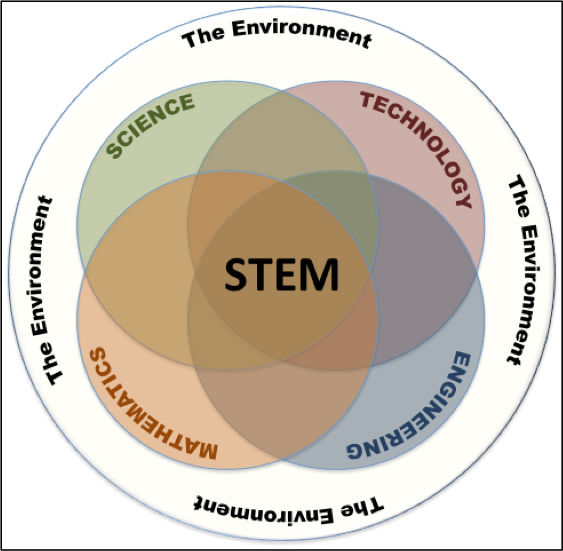 Through the daily activities that take place at NRAO, we are an example of STEM in action; a place where these four concepts merge, leading to some of the most innovative science and technology of our time. The purpose of the Bits & Tips segment is to inform the science community and AUI/NRAO personnel about related STEM education activities and opportunities AUI/NRAO. We all know how important programming is to the field of radio astronomy. When I started teaching at Oil City High School 25 years ago, the school offered computer science courses where students learned basic programming skills. Today, no courses are offered in basic programming or coding at Oil City or in the vast majority of schools across the U.S.
Watch this video. In an effort to bring awareness to the importance of “coding”, Computer Science Education Week has an initiative under way called “The Hour of Code,” which is “a one-hour introduction to computer science, designed to demystify code and show that anyone can learn the basics to be a maker, a creator, an innovator. The group has targeted 9-15 December 2013 for the effort. (1) Post a link to the video and the Hour of Code on your Facebook page, Twitter, etc. (5) Call your local school and volunteer to help them implement the effort. Note that K-12 schools have tight e-mail security. If you have sent an email to a K-12 teacher and did not receive a response, your email was likely seen as spam by the school’s system. Email your STEM Education "Bits and Tips" ideas to Tim Spuck. I will be looking for new topics on a regular basis. The Bracewell Radio Sundial at the VLA. The Very Large Array (VLA) now is home to a new, unique, walk-through sundial that uses historical scientific artifacts to combine traditional timekeeping features with functions illustrating the history and accomplishments of radio astronomy. Named for pioneering radio astronomer Ronald Bracewell, the sundial incorporates concrete piers that originally held antennas for a California radio observatory Bracewell built and operated for two decades starting in the 1960s. Bracewell used the piers as a novel "guest book," handing visiting astronomers a hammer and chisel to carve their signatures into the concrete. He accumulated more than 200 of these signatures from many of the leading pioneers of radio astronomy, observatory directors from around the world, and two Nobel Prize recipients. Bracewell's observatory was abandoned in 1980. In 2012, donations from the Friends of the Bracewell Observatory Association, Associated Universities, Inc., and the National Science Foundation made it possible to saw off ten of the concrete piers and transport them to the VLA. The piers, with their signatures, now are an integral part of the new sundial. The central portion of the sundial is on a 46-by-35-foot concrete slab. Markers that indicate the time of day are embedded in the slab, where the shadow of the gnomon – a metal sphere mounted atop a post – can fall on them. Visitors can walk around the sundial to find not only the time of day but the approximate time of the year. Other markers indicate important dates in the history of radio astronomy, and solar noon at other observatories. Unlike any other sundial, this one, designed by Woody Sullivan of the University of Washington, allows visitors to locate the approximate position in the sky of three celestial objects that played important roles in radio astronomy: Cassiopeia A, Centaurus A, and Cygnus A. "Our sundial is unique in the world. 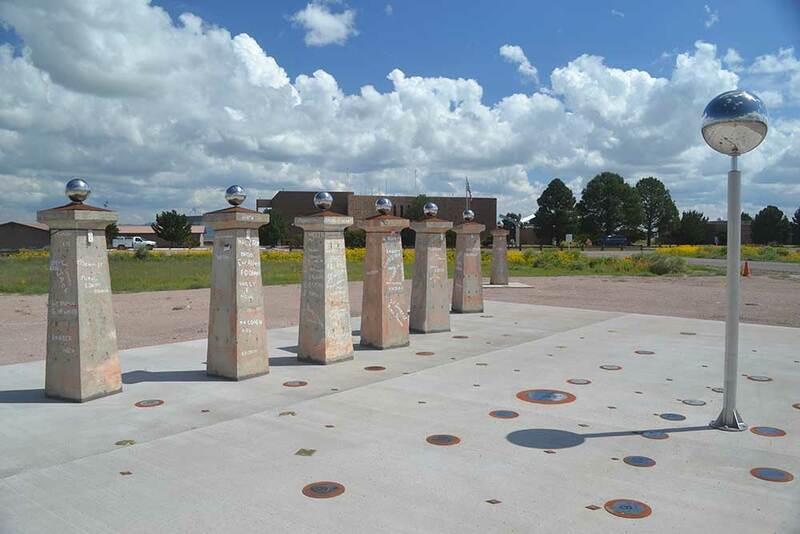 It incorporates the history of radio astronomy into an impressive and beautiful natural timepiece, and has features unmatched by any other sundial," said Miller Goss, who led the NRAO project to build it. "This project had tremendous support from NRAO's EPO staff and the VLA site staff," Goss added. The sundial is a tribute to Bracewell, who himself designed several sundials before his death in 2007. An Australian native who received a Ph.D from Cambridge University and worked on radar during World War II, Bracewell developed many of the mathematical techniques used today to make images with the VLA and other radio telescopes. From 1955 on, he was a professor at Stanford and, among other contributions, helped adapt radio-astronomy techniques to make CAT scans possible. Senior Instrument Engineer: The Joint ALMA Observatory (JAO) in Santiago, Chile is accepting applications for a Senior Instrument Engineer to become a member of the Array System Group within the ALMA Department of Engineering. He/she will bring technical expertise in astronomical instrumentation to the observatory, and will transfer part of this knowledge to the broader engineering staff, will participate in diagnosing problems and where necessary liaise between the system astronomers and engineering staff to facilitate this process. This is a three-year appointment. CO-OP Student, Technical: The NRAO in Green Bank, West Virginia is seeking a CO-OP Student to work on FPGA-based data acquisition systems for experiments at the Green Bank site. The student will gain experience in designing, implementing, and testing FPGA designs, and in developing and deploying software for the control of the data acquisition instruments. This is a temporary full-time position for a period of three months. Mechanical Engineer II: The NRAO in Socorro, NM is accepting applications for a Mechanical Engineer II responsible for the carrying out and assisting in engineering analysis, design, and general execution of a project or whole system. Responsibilities include recommendations, coordination and assisting in decisions on such aspects as design, procurement, manufacture, erection, test and some degree of initial operation. Head of the ALMA Department of Engineering (ADE): The Joint ALMA Observatory (JAO) in Santiago, Chile is recruiting for a Head of the ALMA Department of Engineering. The incumbent will be responsible for the management and leadership of the department, for the engineering and technical staff within the JAO and for the work outcomes from those staff including Systems Integration efforts, the ongoing engineering operations of the array and overall maintenance issues. The term of appointment is three years. Operations Specialist: The NRAO in Green Bank, West Virginia is accepting applications for an Operations Specialist. This is one of three progressively more complex Operations Specialist positions. With frequent direct supervision of the supervisor, or instructions from more senior operators, the incumbent safely and efficiently monitors and operates one or more telescopes. Monitors the performance of telescope systems and assists engineers and technicians in diagnosing telescope equipment failures. NRAO Postdoc: The NRAO in Green Bank, WV is seeking a NRAO Postdoc join their scientific staff. The successful applicant will have 50% of his/her time available for independent research, while 50% of his/her time will be devoted to support of the Robert C. Byrd Telescope (GBT) and GBT observers. This is a two-year appointment. NAASC Postdoctoral Fellow: The NRAO in Charlottesville, VA is seeking a NAASC Postdoctoral Fellow. Applicants for this position should expect to spend 50% of their time on independent research, with the remaining time spent on developing ALMA expertise and assisting the NAASC scientific staff in the support of ALMA users. This is a two-year appointment. Systems Administrator I: The National Radio Astronomy Observatory in Green Bank, West Virginia is seeking a Systems Administrator to support local technical and scientific staff Redhat Linux systems and assist in the development and maintenance of the GBT data archive, high performance computing systems. Technical Specialist II: The NRAO in Socorro, NM is accepting applications for a Technical Specialist II. Under general supervision from scientists and engineers, the Technical Specialist assembles, calibrates, tests, analyzes, troubleshoots and/or repairs the Digital Transmission System and Receiver modules. 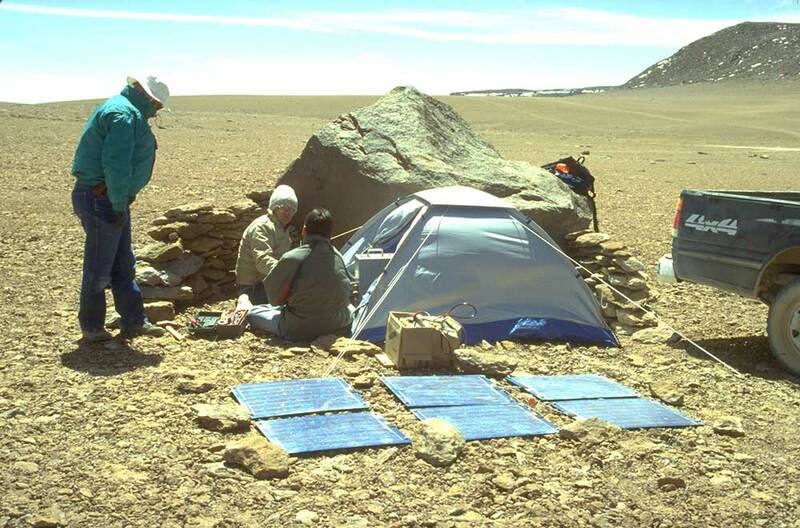 About this month's photo: In late October and early November 1994, Peter Napier (standing), Angel Otarola (back to camera), Frazer Owen (wool hat), and Simon Radford (taking the photo) visited a possible site for the Millimeter Array (MMA) on the Chilean Chajnantor plateau, the eventual site for ALMA. This image, looking to the west and into the prevailing wind, shows equipment sheltered behind a large rock, with small wind break walls built to each side. Solar panels on the ground and batteries in the cardboard box power a 225 GHz tipping radiometer, the gray box with a handle sitting in the door of the tent. The team, here troubleshooting some difficulty with the tipping radiometer, made the first measurements of millimeter wavelength (225 GHz) atmospheric transparency on the Chajnantor plateau. These measurements gave the first indication the plateau enjoys excellent observing conditions for submillimeter astronomy, much better than any sites previously considered for the MMA. More extensive measurements, which began in April 1995, confirmed the initial indications. Thanks to Simon Radford for the image and caption information. From the Archives is an ongoing series illustrating NRAO and U.S. radio astronomy history via images selected from our collections of individuals' and institutional papers. If readers have images they believe would be of interest to the Archives, please contact Ellen Bouton, ebouton@nrao.edu.